A few weeks ago we posted a preview of Afterfall: InSanity, which you can find [url=http://gamrreview.vgchartz.com/preview/68391/afterfall-insanity/88478/]here[/url]. For those who haven’t been following the title, Afterfall: InSanity originally began life as a fan-based project, heavily influenced by the likes of Fallout and S.T.A.L.K.E.R. 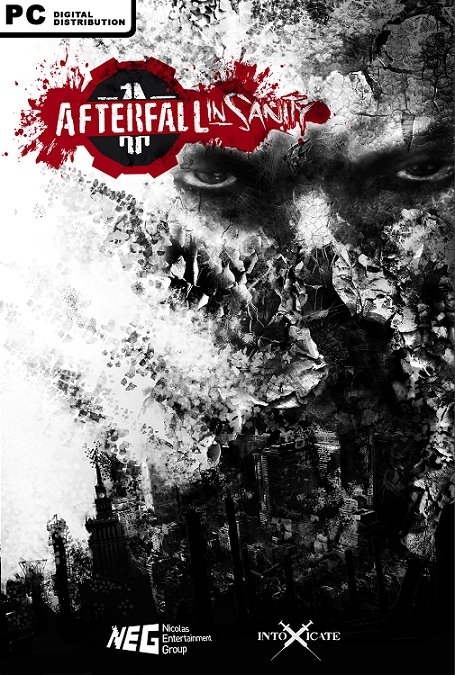 Set in the near future, a short time after a cataclysmic event has ravaged Earth, Afterfall: InSanity focusses on the attempts of an underground complex’s psychiatrist, Albert Tokaj, to get to the bottom of a mysterious viral outbreak that’s spreading amongst the lower levels of the population. Despite the lack of originality in the premise, it’s nonetheless a compelling one, and Afterfall: InSanity is certainly an ambitious project. Tokaj himself appears to be suffering from sleep withdrawal and the very confinement syndrome that he so clearly identifies in others. These hints at the underlying psychological issues that the inhabitants of such a shelter would face are genuinely interesting – there’s room here for a compelling story. Or at least there would be, if the method of delivery weren’t, at times, so excruciating. Take, for example, the narrative. It’s told in a number of different ways, the most prominent of which are good old fashioned cut scenes and diary entries. During cut scenes, characters animate a little awkwardly, and the voice acting lacks personality and effective delivery, but on the whole it’s all serviceable for a budget title. The same is not true of the dialogue, which is simply not credible and far too stilted, irrespective of budgetary constraints. The diary entries are far worse. A game like BioShock is a perfect example of how to add layers to the story with diary entries without ever impeding the flow of the gameplay. In Afterfall, diary entries tediously bring all gameplay to a halt, with Tokaj moving at a snail’s pace as he dictates his thoughts into his journal. Once the game begins proper you find yourself more often than not all alone, surrounded by crazed and mutated enemies. There are plenty of melee weapons scattered around the levels – crow bars, fire axes, wrenches, hammers, and so on – as well as the occasional firearm. The combat is quite rudimentary, usually consisting of simple hack ‘n slash exchanges with a block button thrown in for good measure; in many ways it feels similar to the Condemned series. It’s not quite up to par with either Condemned title though. It has its moments (the finishing moves are brutal and satisfying), but there are far too many missed opportunities for added depth – why, for example, do the different melee weapons all appear to have identical stats and attack speeds? Surely a two handed fire axe will take longer to swing than a small hammer or wrench, but the pay-off is that it’s far more damaging? Apparently not. Despite its simplicity there is still something fairly enjoyable about smashing a monster's head in with a hammer and watching blood spurt all over the place. Afterfall weirdly lacks the kind of inventory system that makes survival horror games like Resident Evil and Dead Space more intense – carefully managing your meagre resources makes you much more cautious, helping to immerse you in the game, but when all of the weapons seem alike (not to mention plentiful), your health regenerates insanely quickly, and there aren’t hordes of pick-ups to keep a hold of, the game loses a lot of tension. Graphically, Afterfall: InSanity is fairly decent, surprisingly so in fact given the game’s origins. The opening sequences take place in the sanitised upper levels of the complex, and you’re given a suitably ‘utopia going wrong’ vibe from the outset – it looks and feels like a light and airy underground complex. This being a survival horror game, you quickly realise that’s all a façade. As soon as Tokaj is shuffled off to the lower levels of the shelter, the game adopts a much darker colour palette, and takes you through quite bland and repetitive industrial and ruined sections, before once again mixing things up as the story progresses. The character models, for both enemies and allies alike, are solid, although the animations sometimes feel unrealistic. In general, the textures could use some work. Aferfall does have a good atmosphere though, and the sound design in particular is good in that respect, giving off a suitably creepy vibe that immerses you in the world. There are quite a few technical problems that do need noting, from apparently major bugs – weapons randomly disappearing from one loading screen to the next, QTEs and cut scenes glitching up, doors failing to open, and game freezes – to more ‘minor’ problems, such as the hacking mini-game seemingly lacking a tutorial, occasional framerate slowdowns, and a lot of screen tearing at times. Afterfall: InSanity is the story of an intriguing premise let down by just too many technical failings and poor gameplay decisions. There’s a good game in here, with a decent running time, but it wasn’t given the care and resources it needed to be realised. What you’re left with is a fairly mediocre game that fails to live up to any of the titles that so heavily inspired its genesis.